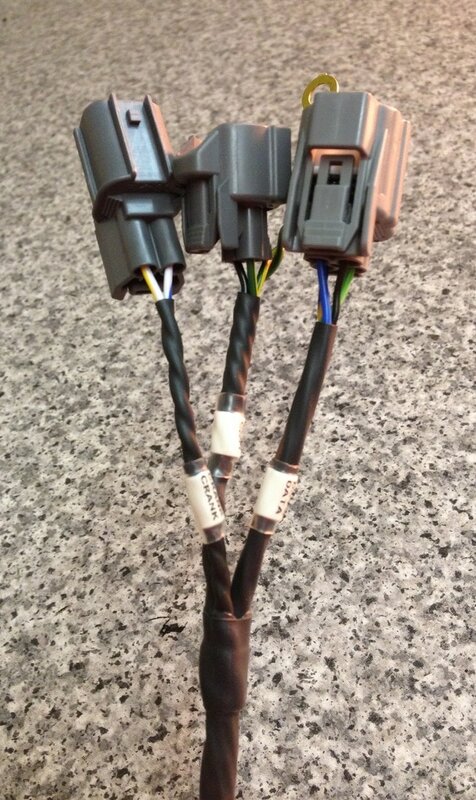 ​Wire Harness for the 1995~2004 Honda RS125. 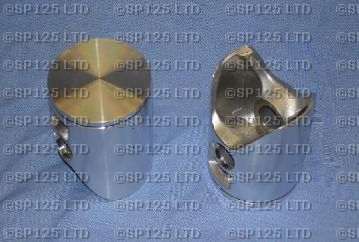 Big end pin is same dimensions as Standard Honda RS125. 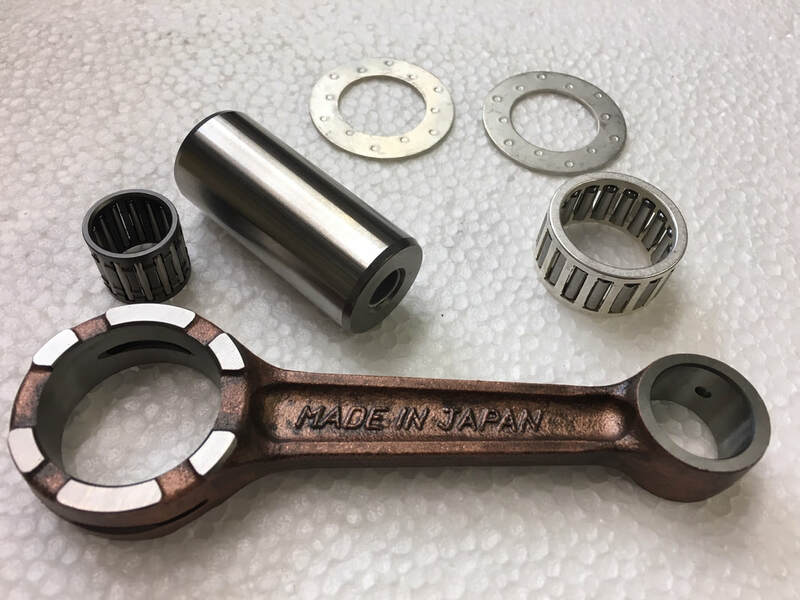 VHM have developed a superior connecting rod for the Honda RS125 crankshafts. 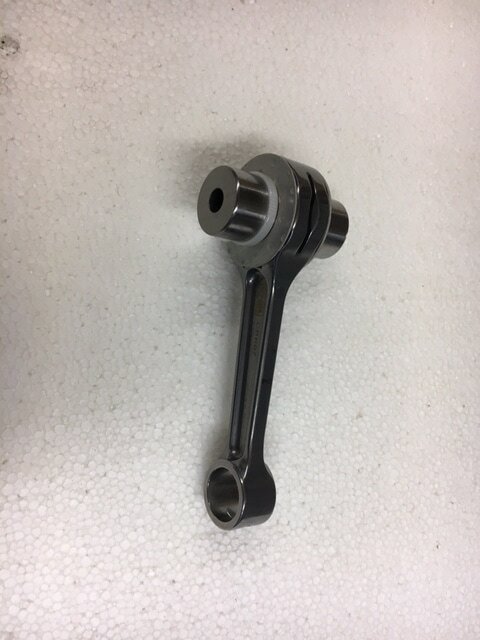 The connecting rods are made of the best material which is CNC machined to remove all surface imperfections. The rods are then machined to final size and has then been shot- peened and polished to achieve the ultimate in strength and durability. 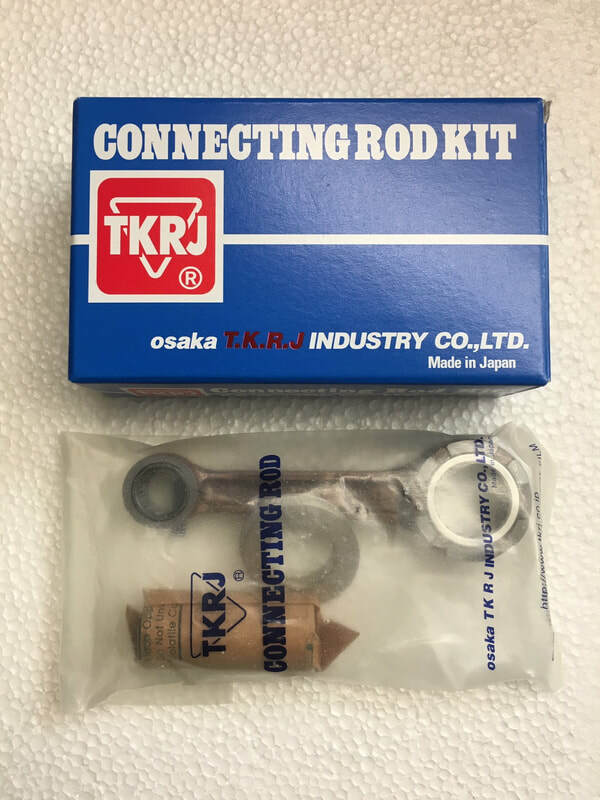 The TKRJ Connecting Rod Kit has been developed and manufactured in Japan. 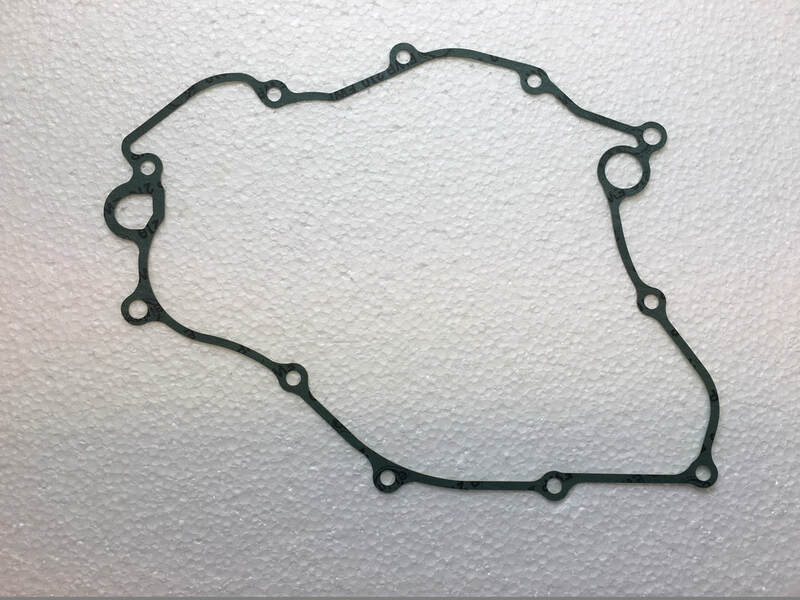 Pattern Clutch Cover Gasket - for the 1995~2004 Honda RS125. ​Replaces the Honda GASKET,R.COVER ​11394-NX4-003 which are now discontinued & sales finished by Honda. 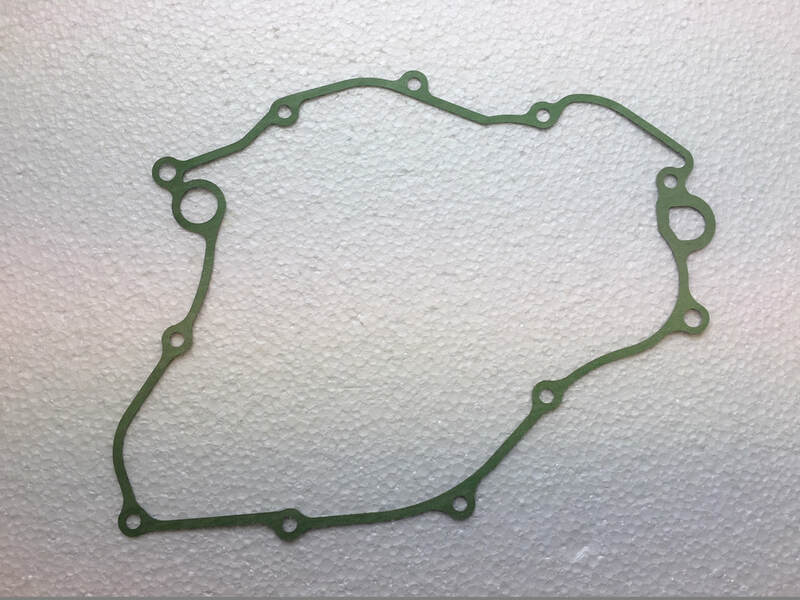 Pattern Water Pump Cover Gasket - for the 1995~2004 Honda RS125. 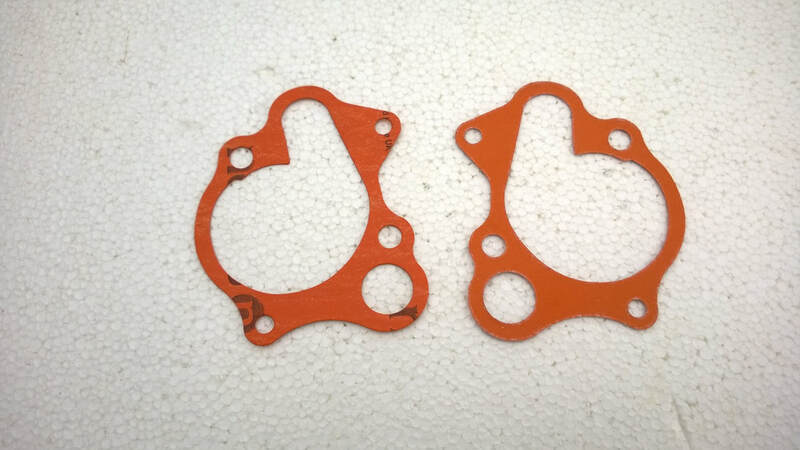 ​Replaces the Honda GASKET,WATER PUMP ​19229-NX4-003 which are now discontinued & sales finished by Honda. 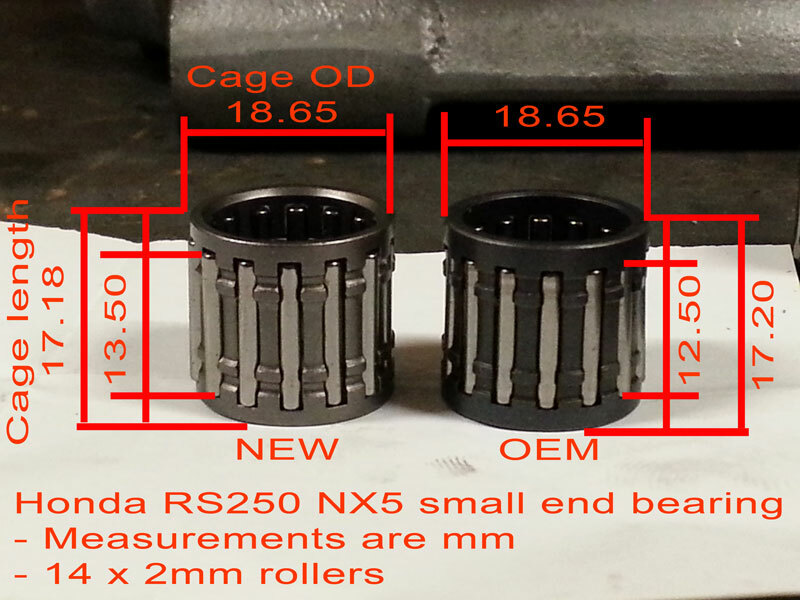 The original Honda Small End Bearing, part number 12213-ND5-000, is now discontinued and not possible to buy. This bearing is a direct replacement for the original RS125 & RS250 Honda part. Performance and reliability is as good as the original Honda bearing. 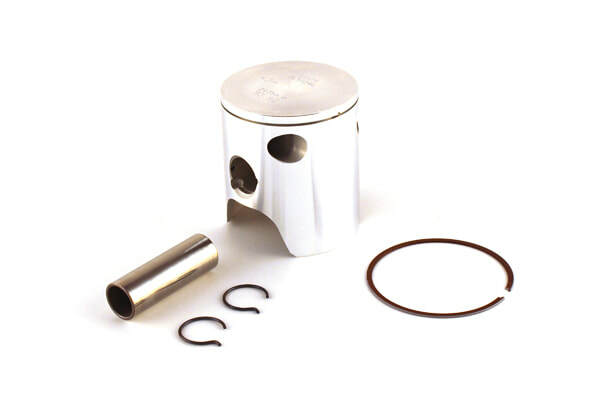 A cheaper version flat top piston available for both Honda RS125 & Honda RS250. 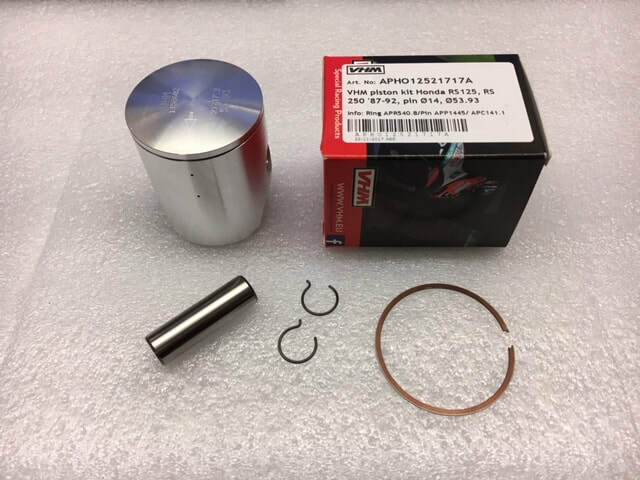 We have used these pistons ourselves, with no problems, but a little more work is necessary in relieving the piston skirt edges and in setting the piston ring gap, compared to when using the VHM flat top pistons. Overall weight is 12g more than the VHM flat piston, but it does not seem to effect performance. 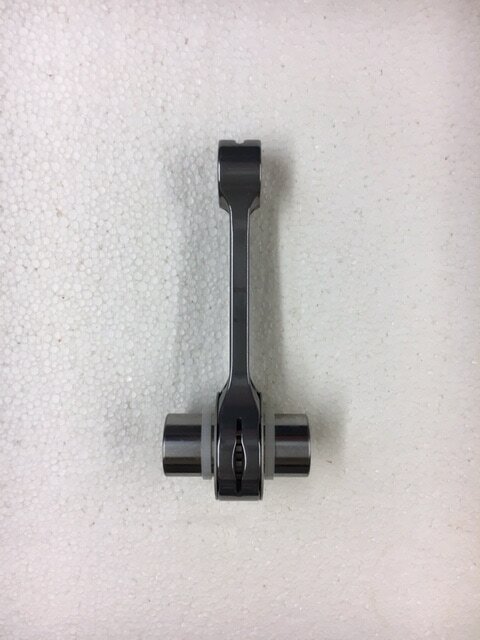 The A-Kit Flat Top Piston has the Piston Ring Gap directly at the back of the Piston, running over the rear boost port. 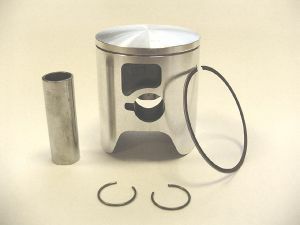 Can be used in standard cylinders, but the standard cylinder would require the rear boost port chamfering, so the piston ring does not 'snag' in the port. The A-Kit Domed Top Piston has the Piston Ring Gap directly at the back of the Piston, running over the rear boost port. 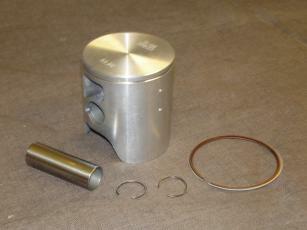 ​available for older model RS125 and RS250 Honda's using Ø14mm piston pin. ​​With many years of experience in research and design of 2 stroke pistons, this has led VHM in the development and manufacturing of pistons machined from a solid billet material. This gives VHM the great possibility to change quickly to any shape. Other improved material properties can be tested quickly without high cost and VHM have great control over dimensional accuracy. 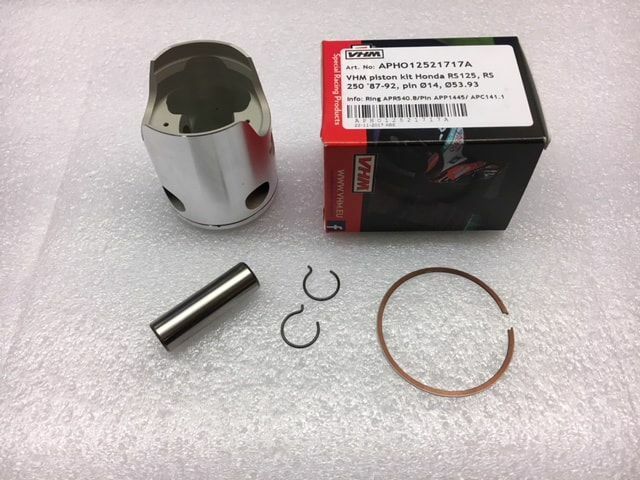 VHM billet pistons are 100% CNC machined from a high quality solid billet material, specially manufactured according to VHM specifications and material properties. The pistons feature internal and external machining to unique shapes for an increased rigidity. 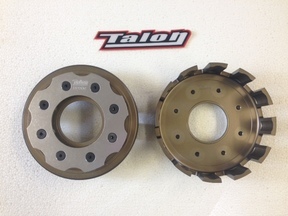 The billet pistons are machined on every surface allowing for all unnecessary weight to be removed. ​It can deliver the highest uniformity of material thickness on skirts and the general body. 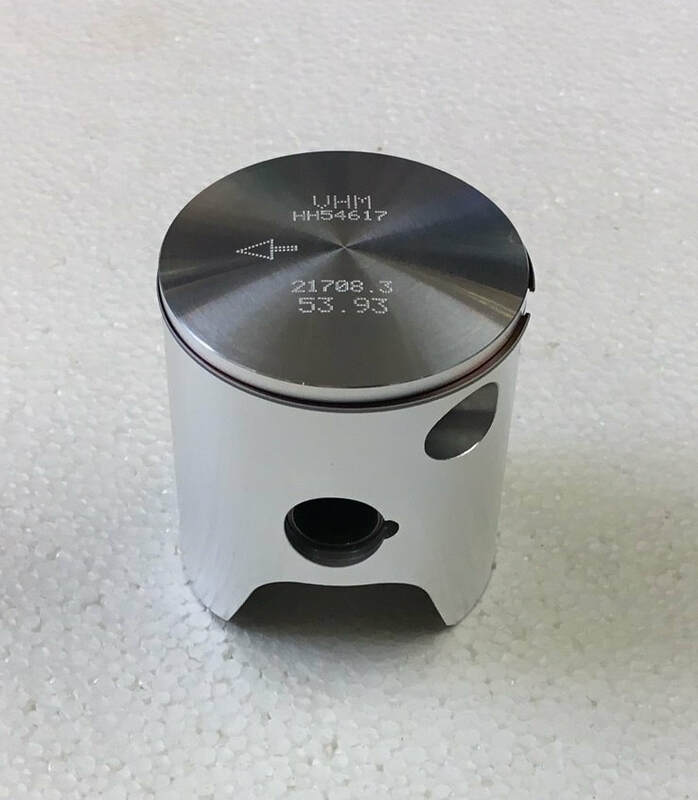 The piston features a special skirt shape, which will result in a cylindrical shape during operating temperature, with the optimum clearance for less friction, giving the best performances. 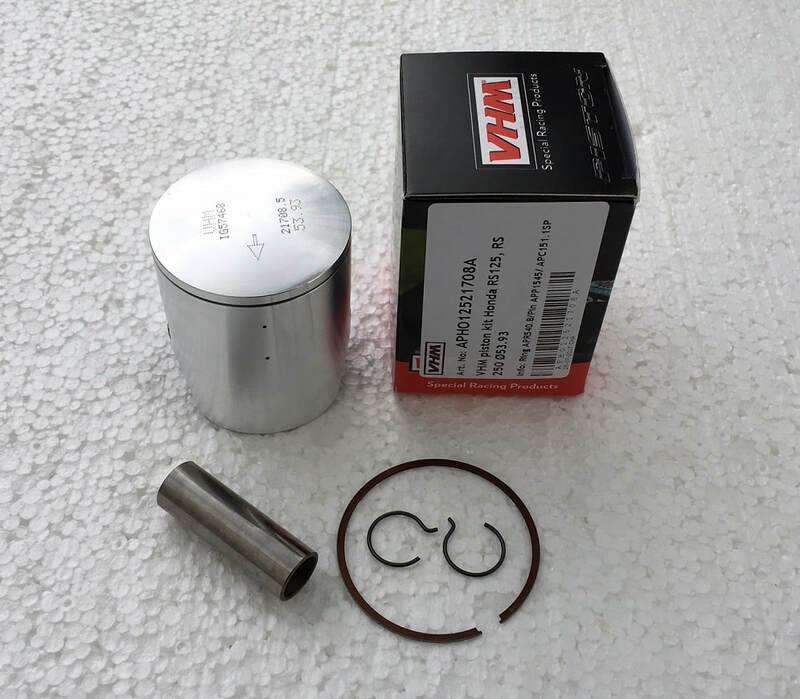 VHM solid billet piston kits come completely with piston, piston ring, piston pin and 2x clips. VHM pistons are 100% CNC machined from high quality material and have a non-circular profile to better prevent engine lockups. They stand for high performance, longevity and keeping high performance during it's lifetime. 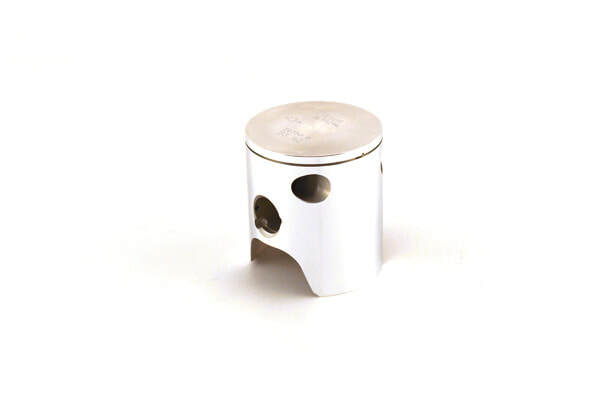 This piston consists of an inside coating, which reduces micro welding, lowers the friction on the pin, prevents piston bore galling and provides a very good thermal conduction. 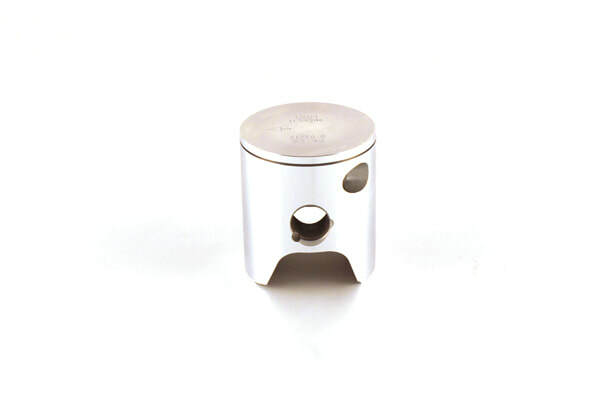 Furthermore, this piston includes special Z-clips, which prevents the clips from circling and affecting the groove. This piston needs a clearance of 0.07mm! Please note: The HRC 'Flat Top' Piston & 0.7mm Piston Ring is now discontinued and sales finished by Honda. Honda / HRC do not plan to make any further 'Flat Top' Pistons & 0.7mm Piston Rings. After the successful crankshaft AK20005(T), AK20015T and AK20017T, VHM have developed new model crankshafts. The crankshafts ware be available for the standard Honda RS125 and for the Honda RS125 A-kit. The standard RS125 crankshaft will fit the standard crankcase, so there are no crankcase modifications needed. The Honda RS125 A-kit crankshaft fits only on a Honda A-kit crankcase after modifications specified by VHM. There are 3 models for the standard crankcase and 1 model for the A-kit crankcase. The difference of the models of the crankshafts is the inertia and weight. 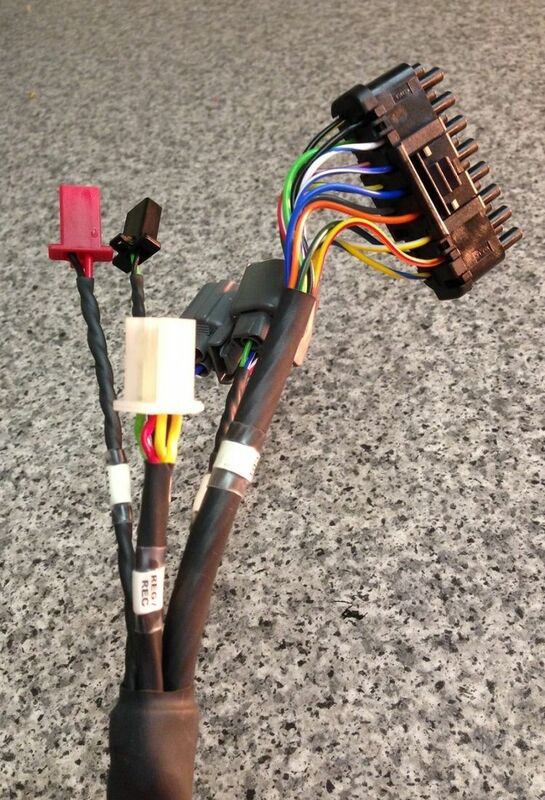 With the 3 type's of inertia, you can change the characteristics of the motor for each track. Model 1 is the crankshaft with a lower inertia, which reacts faster, which will increase the acceleration of the bike. On short and slow racetracks, we advise to use the crankshaft with a lower inertia. Model 3 with the highest inertia reacts slower on the gas throttle when turning out of the corner. The great advantage is that the rider can open the gas throttle earlier. The risk of spinning of the rear wheel will be a lot smaller. Another advantage of the higher inertia is that the top speed will increase due to the increased and improved over-revolution characteristic. 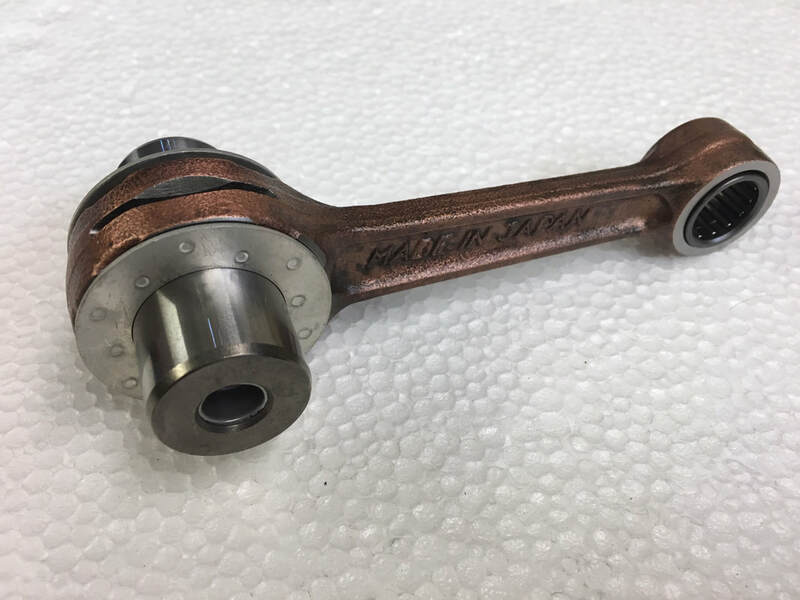 This crankshaft is heavier then the standard Honda crankshaft, but the crankshaft is designed so that the inertia has increased relatively more then the mass of the crankshaft. All VHM crankshaft has began a heat treatment and has been CNC grinded to precise dimensions. 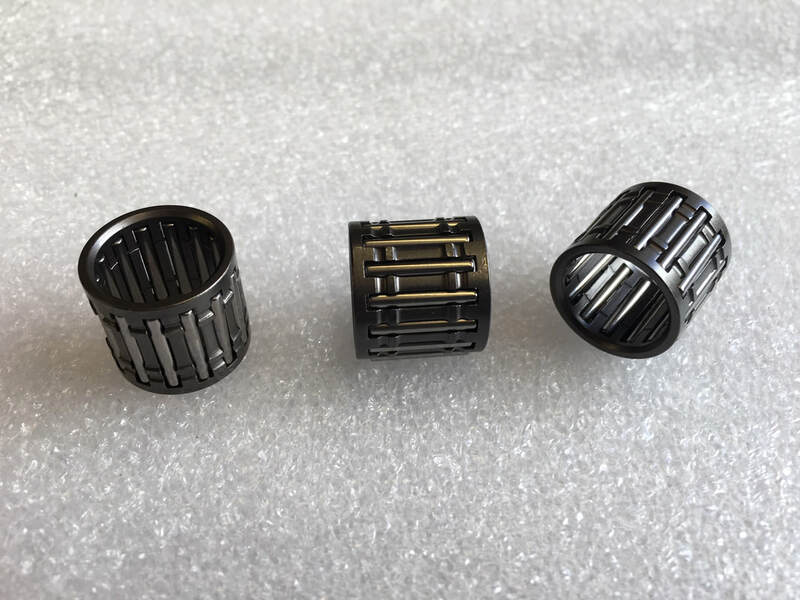 The advantage of the heat treatment is that the crankshaft in totally will be a lot stiffer, because the resistance against bending of the crankshaft is much bigger. 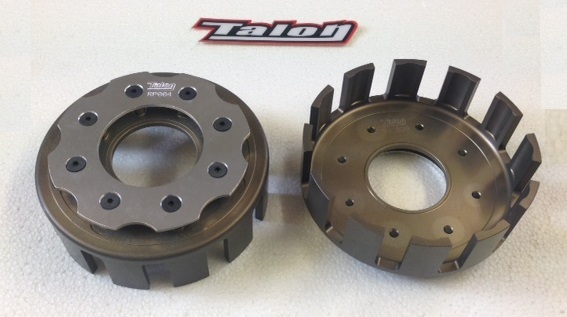 This results in a much longer performance and the crankshaft can also be overhauled many times. To obtain maximum performance, the service limit for the VHM crankshaft is 1200 km running. VHM can rebuild the crankshaft. 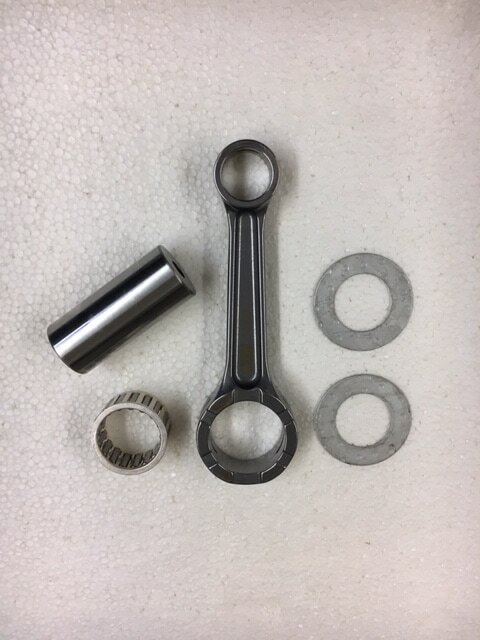 The crankshaft will be disassembled and the connecting rod, big end pin, needle bearing and side washers will be replaced. When we first got these, the GP Team claimed that they made a full 1 bhp extra power ! We run these for the full life of the crankshaft and replace at 1,200 miles (2,000 km) and they still look perfect. 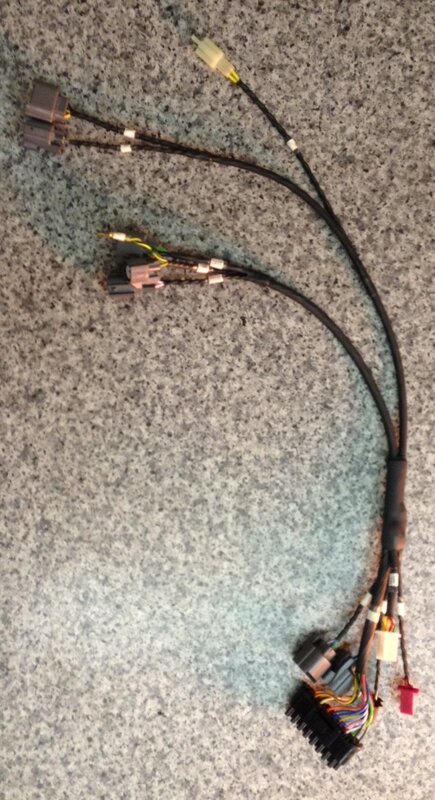 ​Click the button below for information about our replacement Detonation Sensor wire.